What’s Wrong With America? 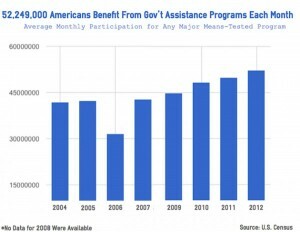 : A Series of Troubling Statistics | Virginia Right! In 2010 and in 2014, conservatives sent wave after wave of Republicans to Washington to put an end to our exploding debt, irresponsible spending, and out of control bureaucracy. Each wave was met with 3 impossible obstacles. The first obstacle was John Boehner and the Republican Leadership in the House of Representatives. The second obstacle was Mitch McConnell and his den of pro-government Republicans in the US Senate. The third (and least effective) obstacle was President Barack Obama, who rarely has had to veto any Republican Legislation, because John Boehner and Mitch McConnell refuse to send any bills to the President they feel the President wouldn’t support. These three men have thwarted the will of the American People, energizing the grassroots to fight harder, but driving millions of conservatives away from the polls. The two biggest problems in America are Welfare and Immigration. Over the last four years, no less than 45 million Americans have been participating in SNAP our nations’ food stamps program. 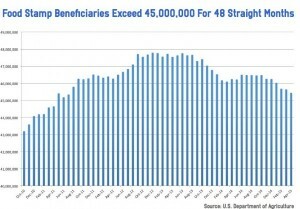 Compounding the Welfare problem is the overwhelming number of immigrants coming into the United States. In 2013, approximately 41.3 million immigrants lived in the United States, an all-time high for a nation historically built on immigration. The United States remains a popular destination attracting about 20 percent of the world’s international migrants, even as it represents less than 5 percent of the global population. Immigrants accounted for 13 percent of the total 316 million U.S. residents; adding the U.S.-born children (of all ages) of immigrants means that approximately 80 million people, or one-quarter of the overall U.S. population, is either of the first or second generation. How we can be expected to absorb and assimilate such large numbers of immigrants is beyond anything I can imagine. 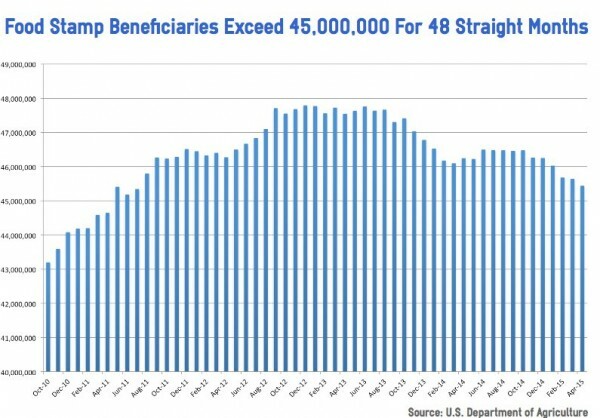 And with 1 in 5 Americans on means-tested welfare programs (not including Social Security, Medicare, Unemployment and Veterans Benefits) our economy is being pushed to the bring. These numbers above do not include illegal immigrants. There is simply no way to consider this anything other than an unsustainable momentum. We are witnessing the reckless and irresponsible hollowing out of the American economy and the end of our national sustainability. We have sent our messengers to Washington DC to put an end to the madness, but they have accomplished nothing, all because they have no way to overpower the Republican Leadership. Important to remember is that President Obama is not to blame for our failure. He hasn’t thwarted or vetoed legislation aimed at curbing the expense of immigration, legal and illegal, on this country. He hasn’t vetoed legislation reducing US Spending on Welfare. He hasn’t vetoed legislation that would repeal and replace ObamaCare. Why? Because the Republican Leadership refuses to send these bills to his desk. The reality is, that we cannot continue down this road, and we require responsible legislators to oversee this nations’ purse strings. They refuse to do that job. The result is one of the slowest non-recoveries in our nations’ history and the inevitability of another collapse is always just across the horizon. It wouldn’t take much to send Wall Street into another panic. The number one goal of the Republican Party ought to be to remove, not Obama, who has done nothing to stop us, but Mitch McConnell and John Boehner. These two men are the sole reason each of our last two wave elections failed to produce any significant results. In 2016, how can we expect conservatives, constitutionalists, and libertarians to show up at the polls and vote for a Republican when the Republican Party has been the biggest obstacle in achieving any progress since 2010? The fact is, unless we nominate someone the American People believe will steamroll the Republicans in Congress, there is no good reason for them to show up at the polls. What would be the point? Mitch McConnell and John Boehner and all of their supporters have to go; and if you want to get rid of McConnell as leader in the Senate, you damn well better make sure you don’t send big government Statists like John McCain back to Washington DC. It is time to retire men like Orrin Hatch and John McCain, Lindsey Graham and John Cornyn. There about 25 Republican Senators that must be replaced in order for the Republican Party to ever again become an operable check on big government overreach and spending. And in the House of Representatives, I wouldn’t elect a single Republican in a position of authority. Every chairman of every committee and sub-committee is a Boehner enforcement officer. You reelect them and you are sending John Boehner everything he needs to retain power and the ability to continue to thwart the will of the Republican Base. Defeating these two men is the only option we have left and we better get cracking. We’re running out of time. Six years is too long to wait to try to pick up the pieces this Republican Party (which has controlled Congress for the last five years) has left behind. Harry Reid & Nancy Peelosi have been devastatingly destructive as well! Go back and read Angelo Cordeville’s piece ” The Ruling Class & the Perils of Rebellion” the July- August 2010 issue of the American Spectator. It explains it all in great detail. Required reading for anyone wanting to understand what has and continues to happen. The Ruling class is comprised of both parties ( try telling some of the folks who think voting R is their salvation ) and is ruthless in it’s quest to retain power. These folks will stop at nothing. Economic destruction, loss of constitutional protections, including free speech are tactics these folks are comfortable employing if it furthers their aims. They have no reservations whatsoever, lying, cheating, distortion, manipulation, total ignoring of the rule of law, —these folks are void of any ethical or moral baseline. Unless and until the opposition, that Codeville coins ” the Country class” comes to terms with the insidiously evil nature of the ruling class—Saul Alinsky’s philosophy rules the day. Alinsky said ” you must co-opt enough of the white middle class , make them see big government as their friend, before you will have the numbers to collapse the system”. Steve just described for you that we are there.